As much as I love L'Occitane products and many of their scents, I doubt that I would have bought the large bottle of Lavender Eau de Cologne that landed on my doorstep a few weeks ago. I rarely wear eau de cologne of any kind (vintage Guerlain doesn't count, right?) because they disappear before I even leave the house. Also, my lavender choice for household stuff is Molinard Lavande (eau de toilette) that I use as my linen spray. While none of the above is going to change because of this sunny spray, I have to admit that it's kind of nice. L'Occitane is based in Haute-Provence, an area famous for its lavender. 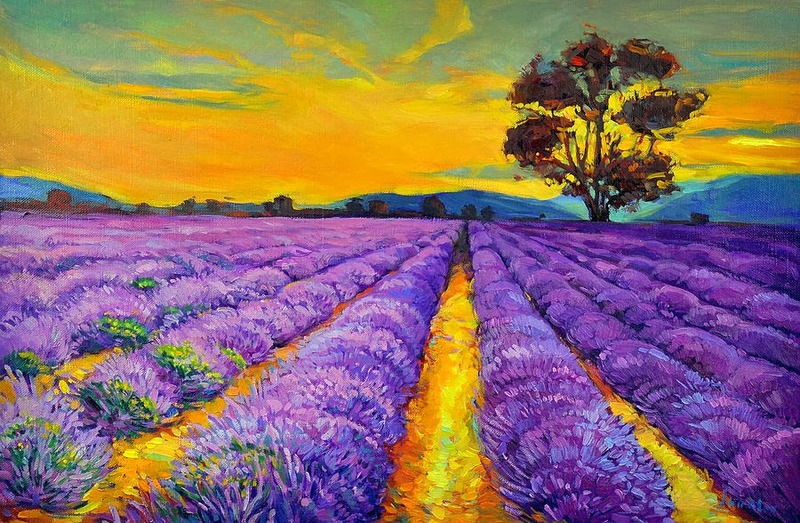 They know their stuff and do a great job capturing the open fields and endless sunny days by pairing the lavender with light and bright citrus notes. The fragrance really sparkle for those fifteen minutes that I get to enjoy it before it disintegrates into a vague musky wood veil that doesn't stay on much longer. I spray my bed and towels quite heavily, but even then it's no match for the cheaper Molinard that perfumes the room and makes the sheets smell inviting for long hours. So I just spritz and spritz some more. If L'Occitane's Lavender was longer lasting it would have been a real winner in this category. Its ephemeral nature makes the experience a little too frustrating for me. L'Occitane- Lavender Eau de Cologne ($52, 10.1oz) is available from L'occitane boutiques and online store. The product in this review was sent for consideration by PR.